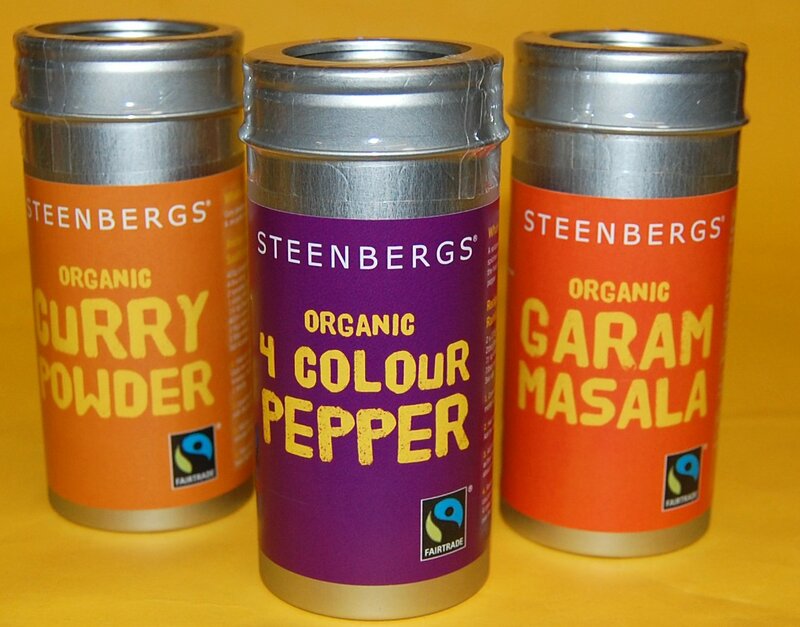 At Steenbergs, we have been doing a lot of work trying to refresh parts of our organic spices and seasonings range. Now we have relaunched our spice tins into a bright new label and an elegant rolled tin. Part of what we have been seeking to do is to pull out parts of our long list of spices and seasonings that can either sit as a standalone range, such as our Home Bakery products (which we relaunched in August 2009), or added value blends that differentiate Steenbergs in the spices and seasonings world. We have a range of over 200 blends that we make in small batches by hand which is way more than industrial spice blenders and packers can hope to do - they just don't have the ability to work on small batch runs nor the inclination. So during 2009 we redesigned the spice tin, which was originally a spice dabbah made for us in Mumbai in India, to a rolled tin that is now being made for us in China. This new tin was launched in mid 2009 and looks much smarter and more elegant than the old tin that we felt was a bit shiny and the shapes of the actual dabbahs were inconsistent. In the latter part of 2009 and through to early 2010, we have created a new look label for a few of our most popular blends - Steenbergs Signature Blends. These labels are brightly coloured, individual for each seasoning and now include a recipe idea. The labels were printed last week and are now launched on the web site and will be officially launched at the forthcoming Organic & Natural Products Show at Olympia in April 2010. Tell us what you think, and what other Steenbergs products we should add to this range of Signature Blends - I am thinking China 5 Spice, Dukkah, Jamaican Jerk and Mexican Chile Powder.